Happy Saturday, everyone! This week's Inspiration Challenge is to find inspiration from the 'Altered Diaries' Etsy site.......I thought that this journal was very cool and it reminded me of one of the new Bible Journaling stamps from Our Daily Bread designs, 'Find Refuge'. After my card was finished, I realized that I should have used banana cardstock instead of ivory for a better match to the inspiration photo, but what's done is done! :) Since the journaling stamp is 5-1/4 tall, there was not room to put designer paper at the top and bottom, so I put the strips down each side instead. 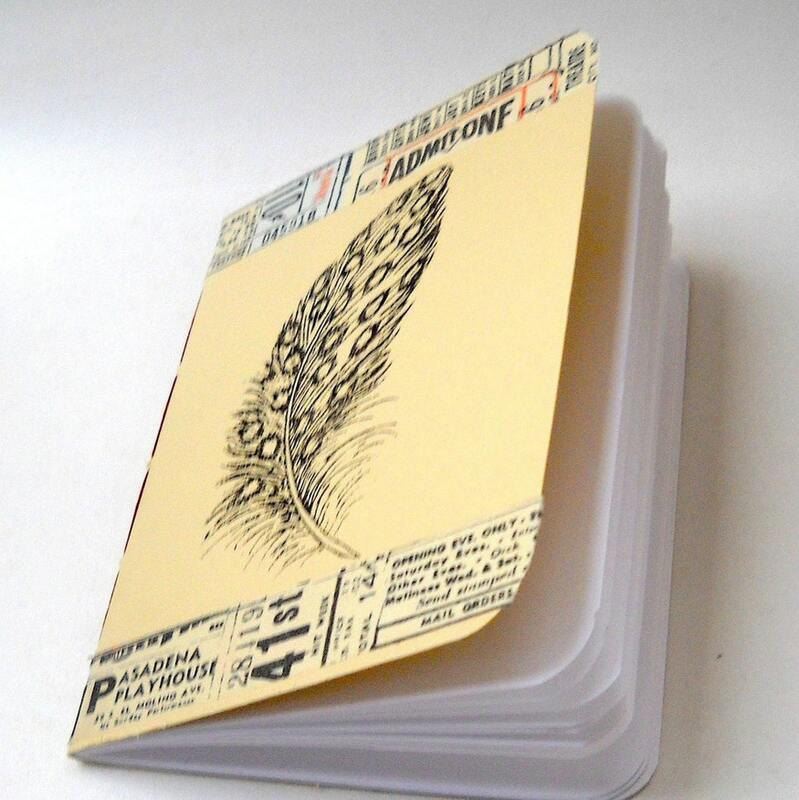 The designer paper is from the ODBD Vintage Ephemera Paper Collection; the feathers were watercolored to coordinate with the paper. Some baker's twine was added to mimic book binding. Thanks so much for looking! Have a very blessed day! Perfect journal design, and I love your sentiment. Oh I absolutely love this Angella!! I love it!!! Now I need to see about buying me one of those stamps -- giggles ... this is absolutely beautiful!! This is one of my favorite verses, makes me feel safe! Very pretty card! I love the monochromatic look of this beauty! What a fantastico journal!! I am amazed at how you take the same stuff I have and make it totally new and different!!! YOU are amazing! Congratulations! In the General Stamping forum, you're in the FAVORITES for the week ending January 15. See post #__58__.